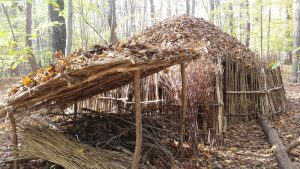 Shelters are one of my favorite primitive skills. There are so many variations and they really are ingenious. 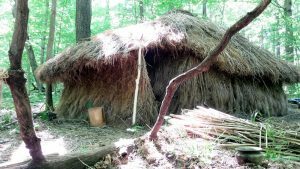 I built a thatched shelter that I lived in for a year and a half. 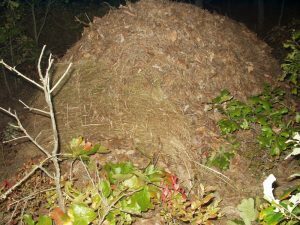 It was the best home I’ve ever lived in. 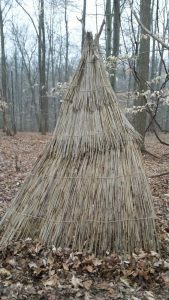 Here’s the original thatched shelter. 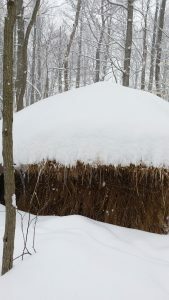 After the first winter I had time to add a stacked debris wall to add two feet of insulation. 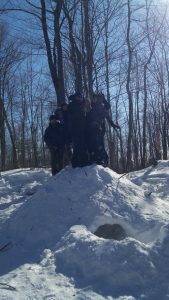 Even the first winter, it did okay. 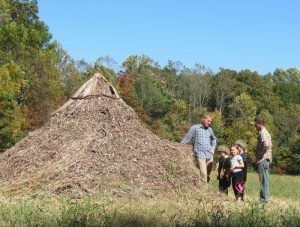 The only problem was wind- it would blow the cold through the thatch. See how nice it sits on the landscape. 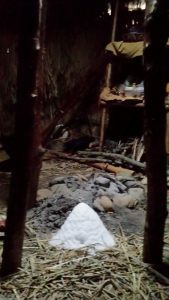 You can see the small fire ring on which I did all my cooking and heating. 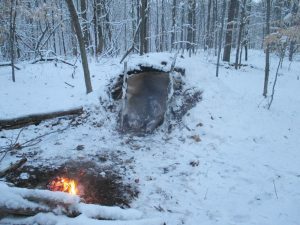 There is a smoke hole just off center so when it snowed I’d get a little pile in the shelter. 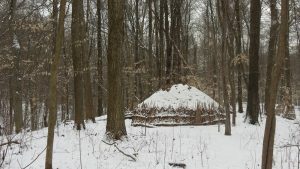 James’ beautiful Earth lodge. Steps lead down to a 10 foot circular room. Really amazing home. 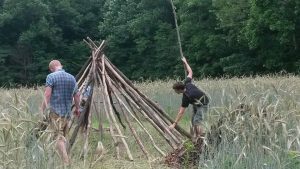 Brett building a wickiup frame. 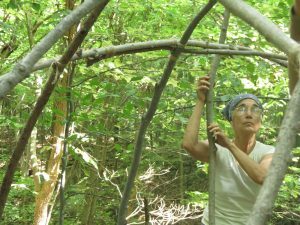 Cathie bending poles of her wigwam frame. One of my debris huts with a grass mat door. 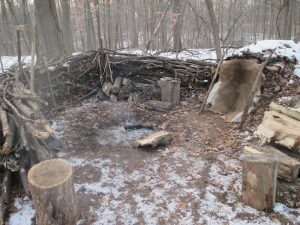 Lean-to for wood storage outside my shelter. Tri-pod with reed mat cover- it’s my outhouse. 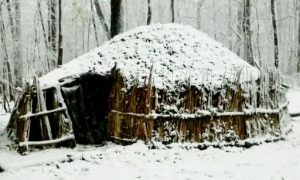 Cool snow shelter from Tribal Wisdom. 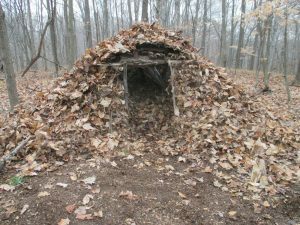 Eric lived in his debris hut year round. 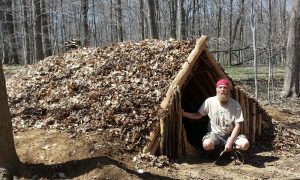 Adding stacked wood walls helped retain heat in Eric’s debris hut compound.